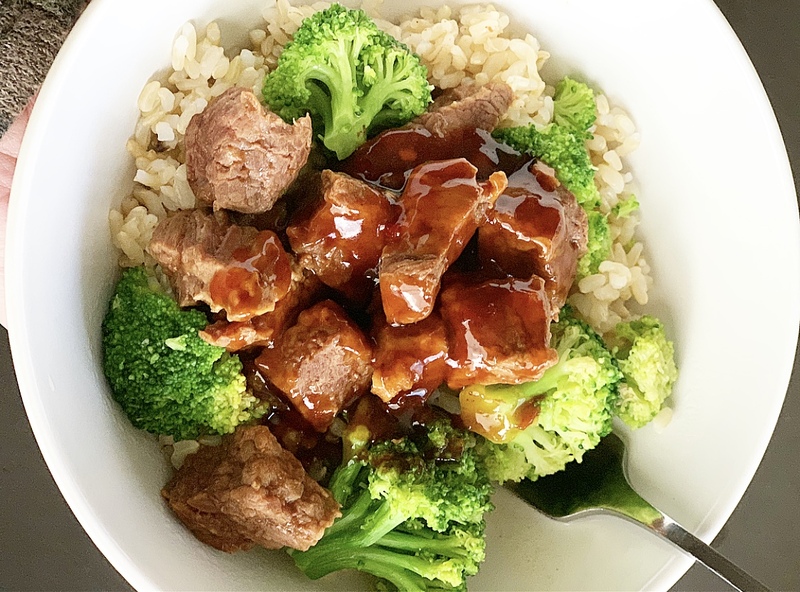 Today we are making a slow cooker broccoli beef bowl….using ingredients from Trader Joe’s! 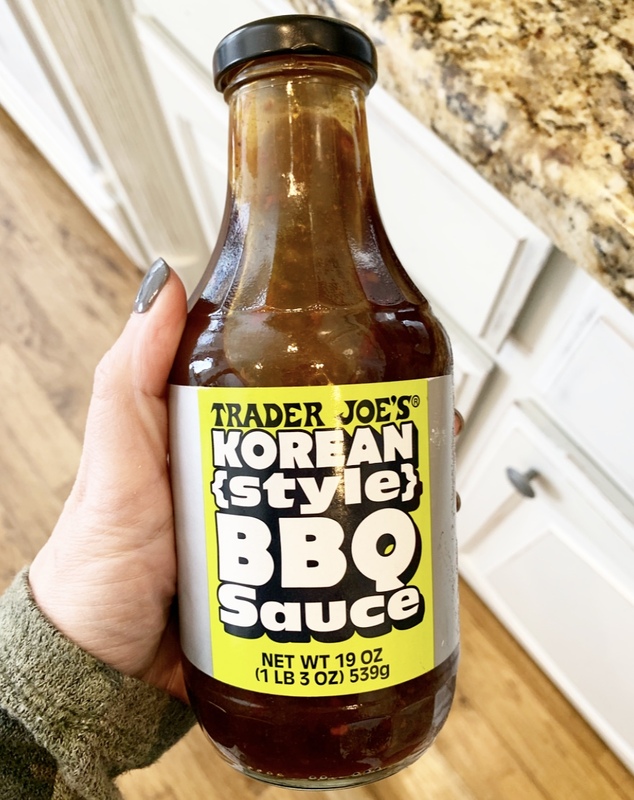 Last week I headed to Trader Joe’s and saw this sauce for the first time. I grabbed it and started thinking how I could incorporate it into a simple supper recipe! This slow cooker meal is the result and I hope it doesn’t disappoint! 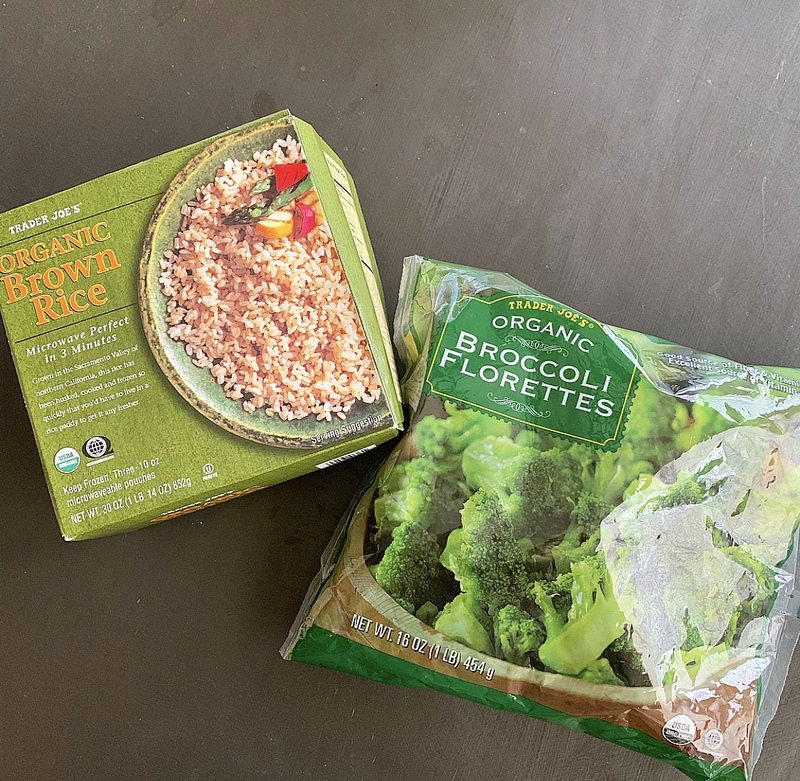 Brown rice – I used Trader Joe’s microwavable kind. You could also replace this with riced cauliflower as a healthier option! Broccoli – I used Trader Joe’s microwavable kind. Line your slow cooker and add beef, 3/4 of your bottle of BBQ sauce and enough extra broth or water to cover the beef. Cover and cook on high for 3-4 hours or low for 6-8 hours. When beef is ready, prepare…in my case, microwave,…the rice and broccoli. Place them in a bowl and spoon the beef on top. Heat the leftover BBQ sauce in the microwave and pour it over the bowl if you like extra sauce. That’s it! SO simple with great flavor…and even some green veggies! 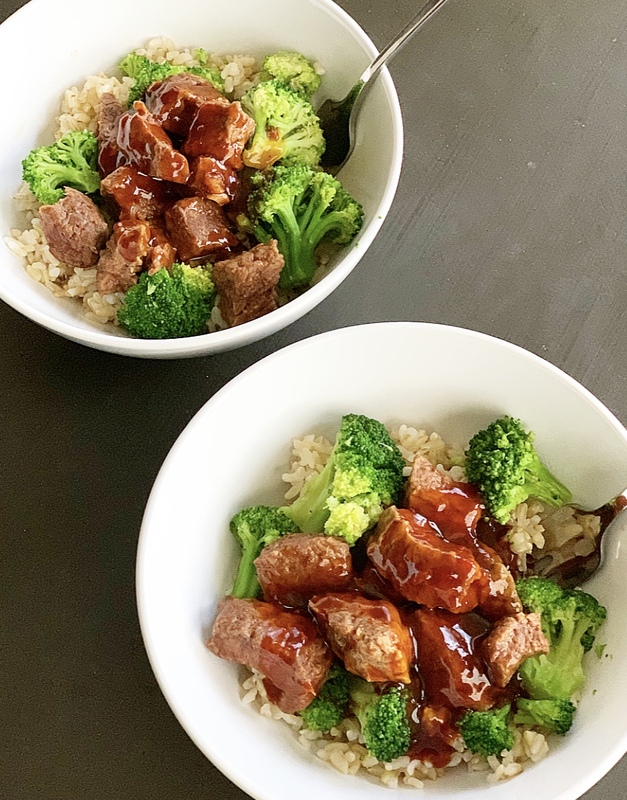 This broccoli beef bowl is a perfect meal for a busy weeknight! 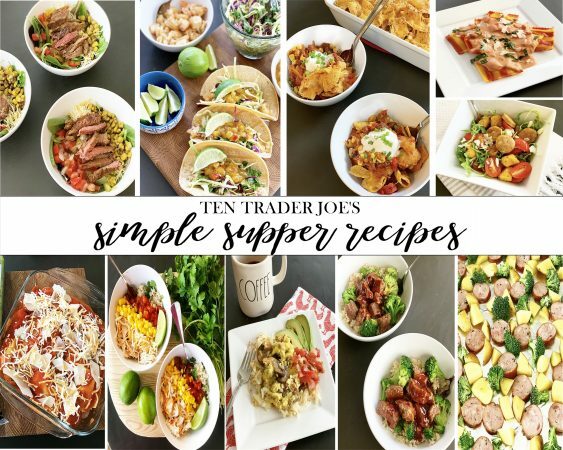 For more Trader Joe’s simple suppers be sure to check out this post here.